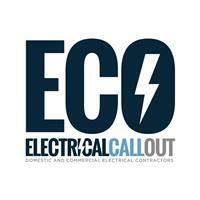 ElectricalCallOut - Electrician based in Orpington, Kent. "We're Not Just The standard Electricians, We're Electricians With Standards"
We are a Friendly Domestic and Commercial 24hr Electrical Company, ElectricalCallOut was established in 2005 and we have over 25 years' experience in the electrical industry covering all of the Kent, London, Essex, Surrey and Sussex Postcode areas. Our aim is to provide a exceptional second to none service from your first phone call or email through to the completion of the installation and thereafter should our customers need us and we are always monitoring our service. Your electrical job or problem is important to us no matter how small or big it is and we are always happy to help, we are big enough to cope with your needs and small enough to care. Our Company is fully registered with the NICEIC, We are fully insured above 10 Million, Guarantee all our work and pride ourselves on our reputation and competitive pricing. Our electricians are carefully selected, They are Highly skilled, Fully qualified to 17th Edition, CRB Checked, they are regularly spot checked and must enjoy their job therefore we can provide reassurance of a quality driven electrical installation resulting in quality driven customer satisfaction ultimately meaning our customers are left Happy and Safe. All our electricians will arrive when we say they will, in company uniform and in a company vehicle so that you know they are a ElectricalCallOut Engineer. All Kent, Essex, London, Surrey and Sussex postcodes.